God is my portion, and my cup: Faith -- God Is Always With Us, Because He Dearly Loves Us. 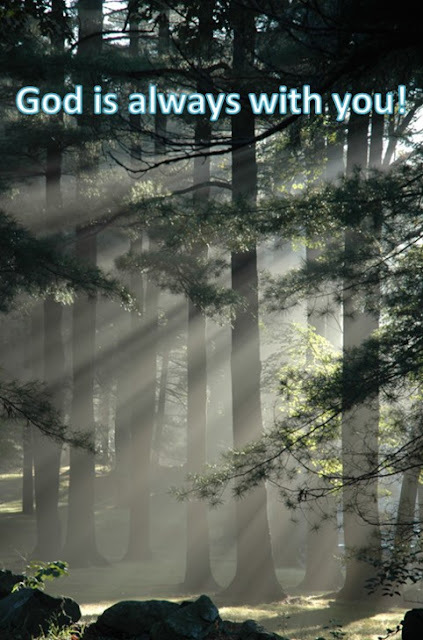 Faith -- God Is Always With Us, Because He Dearly Loves Us. Joshua and his people had experienced again the great nature of merciful and faithful God again in the battle of Ai. They determined not to forget what God did again. They assembled as Moses commanded in two groups. One group proclaimed the blessings of God, while the other group the curses from God to truly make all Israelites know and remember God’s blessings of obedience and curses from sinning. The entire Israelites recited with one voice, and heard together. All committed to be faithful to God being obedient to Him and keeping His commands. Yes, God was with them. Now all the kings west of the Jordan River heard about what had happened. These were the kings of the Hittites, Amorites, Canaanites, Perizzites, Hivites, and Jebusites, who lived in the hill country, in the western foothills, and along the coast of the Mediterranean Sea as far north as the Lebanon mountains. These kings became terrified and were afraid of the Israelites. They knew they could not prevail against the Israelites. Thus, they discussed together this urgent matter, and agreed to combine their armies to fight as one against Joshua and the Israelites to protect themselves. The Israelites replied to these Hivites, “How do we know you don’t live nearby? For if you do, we cannot make a treaty with you.” The Israelites made a pointy question. 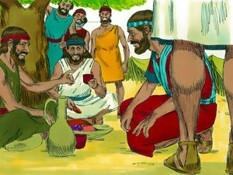 So the Israelites examined their food, but they DID NOT consult the LORD. This was the biggest blunder. Why? They already forgot what God did for them, and who their master was. The should had asked to God to consult the important matter of making a treaty. Hastily in confidence, Joshua made a peace treaty with them and guaranteed their safety, because Joshua thoroughly examined and verified all evidences that they presented -- the bread, wineskins, clothing and sandals. All of them were worn out or very old. These items clearly proved what they said was true. Joshua firmly believed. Following the Joshua’s decision, the leaders of the community also ratified their agreement with a binding oath. Being confident in human wisdom often leads to a self-deception, which leads to a failure, disaster and pain. Joshua and his people were trapped in their own wisdom. While the Israelites were doing wrong, where was God? Yes, God was with them. Even so they did not search out for God. We are not much different. Although God is with us, we ignore him when we feel we know everything and everything is under control. However, God, who dearly loves us, does not let us alone even though we are trapped in our own self-centered ego. God patiently waits us. According to God’s time, God reveals the truth so that we can learn. Three days after making the treaty, they learned that these people actually lived nearby! 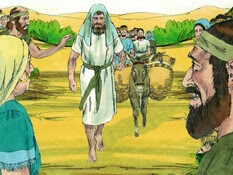 The Israelites set out at once to investigate and reached their towns in three days. The names of these towns were Gibeon, Kephirah, Beeroth, and Kiriath-jearim. But the Israelites could not attack the towns, for the Israelite leaders had made a vow to them in the name of the LORD, the God of Israel. The people of Israel grumbled against their leaders because of the treaty. But the leaders replied, “Since we have sworn an oath in the presence of the LORD, the God of Israel, we cannot touch them. This is what we must do. We must let them live, for divine anger would come upon us if we broke our oath. Let them live.” So they made them woodcutters and water carriers for the entire community, as the Israelite leaders directed. Sadly, the promise of God – giving the Promised Land to you – was compromised by Joshua and the leaders. They replied, “We did it because we—your servants—were clearly told that the LORD your God commanded his servant Moses to give you this entire land and to destroy all the people living in it. So we feared greatly for our lives because of you. That is why we have done this. Now we are at your mercy—do to us whatever you think is right.” The Gibeonites feared the Israelites because they knew what God would do for the Israelites. They searched for mercy from God through the Israelites. What a contrast it was! In fact, the Israelites, who supposedly always relied on God, did not see the needs to ask God when dealing with the Gibeonites, but the Gibeonites feared God. Please look back what we did. Have we really come and ask God before making an important decision? In other words, do we truly put our whole trust on Him as our only master and king? Especially, when we feel we know everything clearly, and we have done diligence -- examining every detail and verifying them too. In fact, it is the time that we are most vulnerable. We are quick to be comfortable and competent on ourselves. We forget God. Joshua and Israelites learned the hard way about God after they were beaten and defeated. They did not do anything. Actually, they did. They determined to follow God and keep His command faithfully. They recited together in one voice by facing each other as two groups. Unfortunately, their determination did not last. 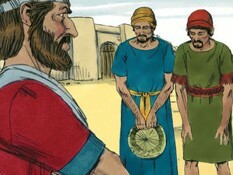 When the Gibeonites approached them with a deception, the Israelites DID NOT ask God first. They made a decision by themselves. Of course, they carefully examined and verified. They did all things that were humanly possible, but they could not realize that they were being deceived. Was Joshua stupid? No. Perhaps, he was the smartest and most capable among the Israelites. Did he have not faith? Remember Joshua was the most faithful, and stood against other ten spies for God. His faithfulness was unmatched. He obediently followed God for forty years. Through his faith, he could enter the Promised Land as the leader. (Please note that even Moses could not make to the Promised Land because his faithfulness was up to the level that God wanted.) Even so, Joshua failed when he was tempted by what he saw, and when he relied on him and his judgement. Is there anybody who dare to say that I am more faithful than Joshua before God? Nobody. We will all fail, when we fix our eyes on ourselves rather than God. If we rely on us and our own wisdom and judgement, surely, we will fail without exception. Yes, we will be deceived by what we see and what we touch because we cannot see the truth behind what we see and touch. (The world is full of deception.) God reveals us the truth, only when we fix our eyes on God and come to him. This is the first lesson that we get from Joshua today. Let’s continue to see what really happened. 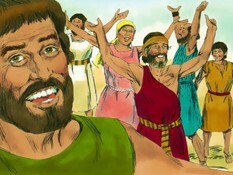 Did the Gibeonites, who deceived the Israelites, brought any harms or a disaster to the Israelites? Practically speaking, they could in various ways, but they did not. Why? God loved the Israelites, and He himself protected the Israelites. Although Joshua and the Israelites did not ask God first, God was right next to protect them like loving parents who are always carefully watching over their children regardless their behaviors. What God wants is to know and love Him more and to go into a deeper and intimate relationship with Him. For example, God made the Israelites suffer, but He did not made them fall into the disastrous pain that they could not endure. Again, God loved the Israelites simply because they were God’s children. How about us? Surely, we are His beloved children. The same God who was with Joshua when he was failing is with us. Have we done a wrongdoing before God, such as not asking to God first? Yes, God will remind us in various ways including a pain in our life accordingly to His perfect time, but He will not give a pain that we cannot endure. 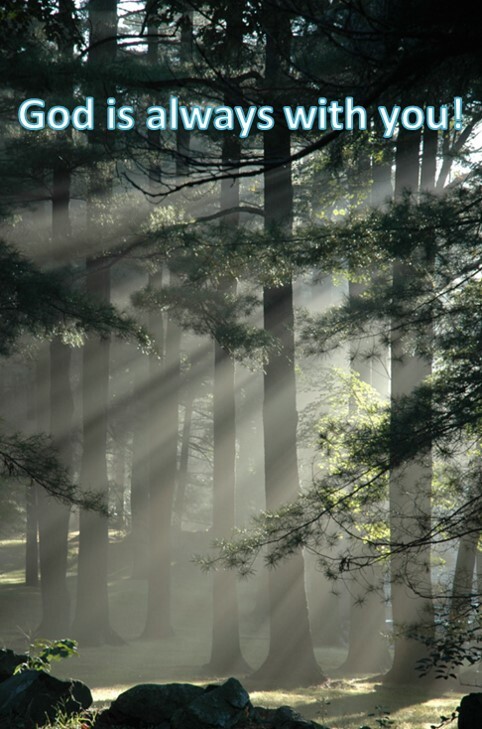 God is always with us, no matter what we did. This is our faith. Let’s continue fix our eyes on God, and always come to Him first. This is what God wants and He loves to see from us. Then we will know Him more and experience Him deeply in our lives. Praise Him! This is our praise. You are faithful and your faithfulness toward us will never cease. Sing praises. Sing praise to Him. He is our Ever-Loving Father, who will love us till the end – seeing Him face to face in our Eternal Home!